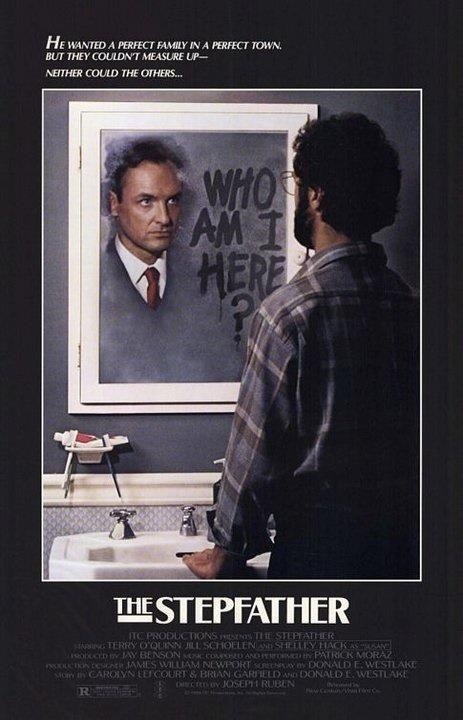 Tagline- Who Am I Here? 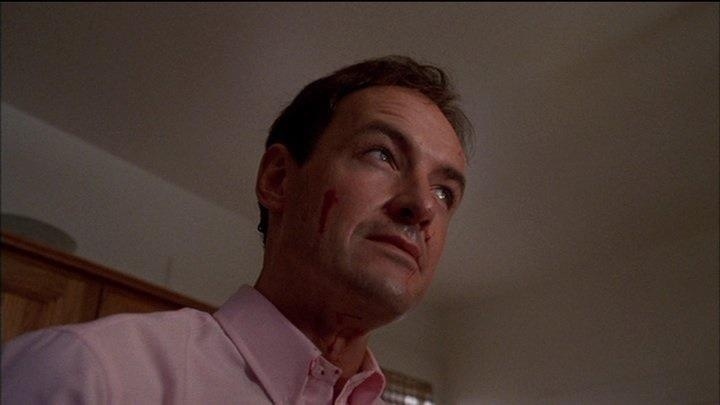 Released in 1987 The Stepfather has become a cult favorite among horror fans and most of that cult following stems from the performance by Terry O’Quinn. For years the movie was out of print and in many ways I think it helped the cult status, but that isn’t to say the movie isn’t good, but I do think it gets a little over-praised. 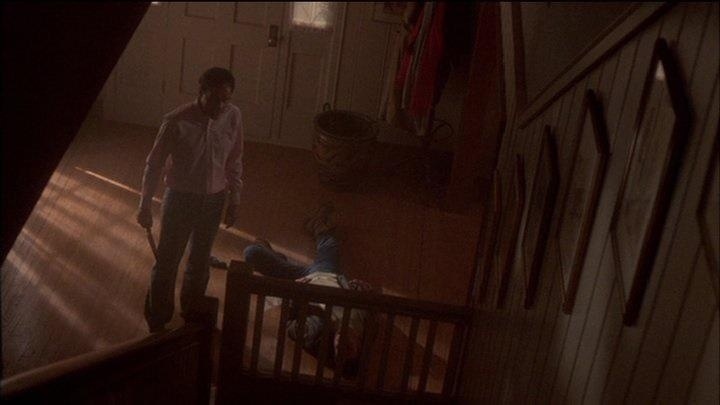 The Stepfather takes the basic premise of a slasher flick, but is mostly able to avoid the pitfalls those movies often have and stays more within the thriller genre with touches of horror. Director Joseph Ruben isn’t a fan of slasher flicks and wanted to avoid turning this into one, which was probably the better move; had he go down the splatter route the movie might have been more entertaining, but not as good. That isn’t to say this movie isn’t entertaining because it is, but it’s possible for one movie to be more entertaining, but not as good. 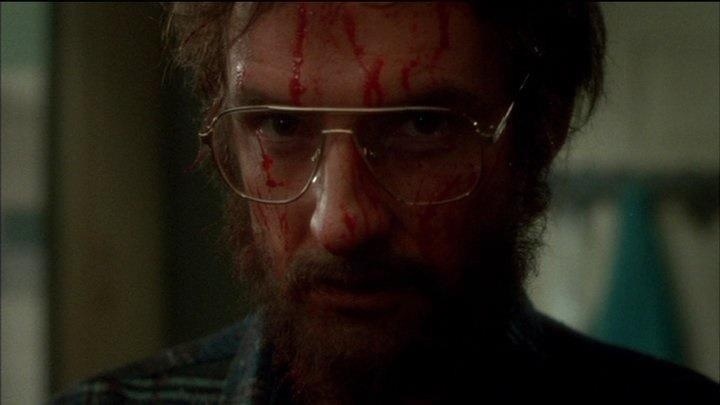 I remember seeing this movie as a kid and really liking it and all these years later, while the movie hasn’t held up as well for me, I still think it’s an excellent thriller that has more depth than most horror flicks of the era. 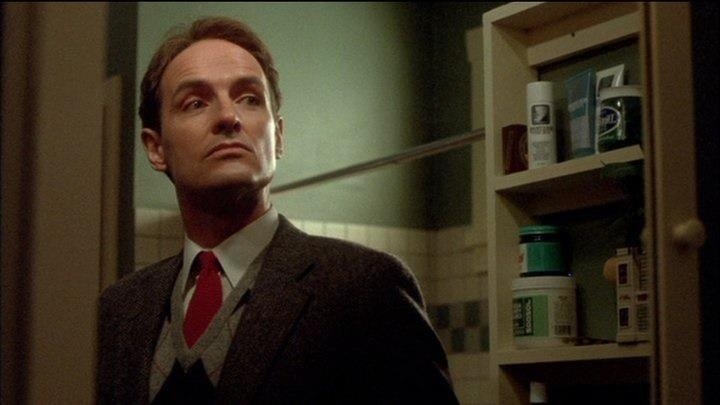 The one thing I always found disappointing, but now appreciate more is we follow Jim Ogilvie (Shellen) as he searches for Jerry Blake (O’Quinn) who murdered his sister and her children and when he finds him it’s quite anti-climactic and a bit of a letdown, but now I think it actually plays out better due to it not being clichéd, which is what it seemed like it was gonna be. 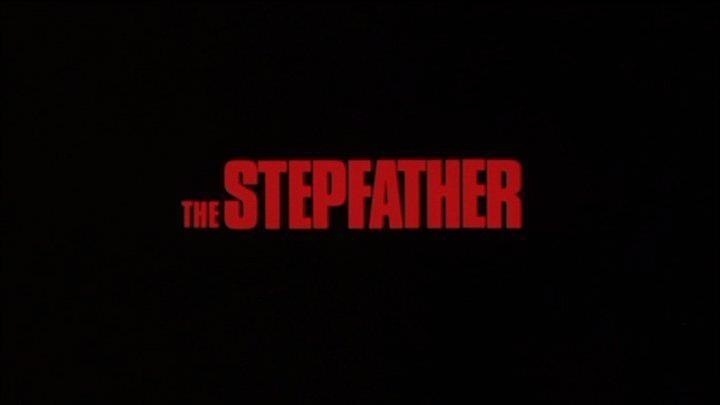 The Stepfather is loosely based on John List, who back in the 70s was laid off from his job, but every day would leave the house at the same time and come home at the same time like he did when he was working and then one day he murdered his family and went on the run for 18-years before finally getting caught due to the help from America’s Most Wanted. 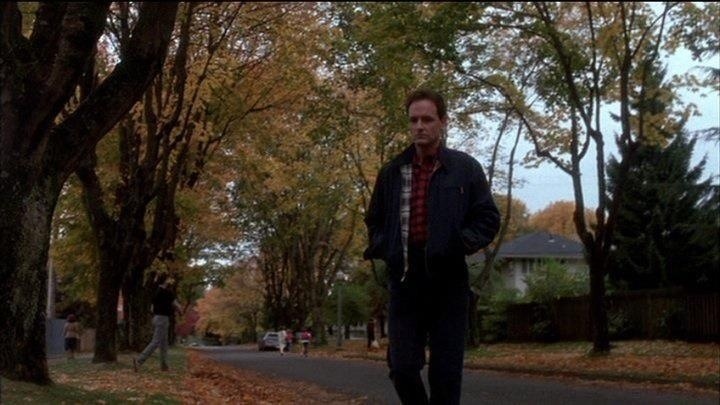 The Stepfather takes elements from the story, but is different enough that it isn’t a Bio pic. The screenplay was written by Donald E. Westlake, based off a story from him as well as Carolyn Lefcourt & Brian Garfield. Brian Garfield wrote the novel for the classic Charles Bronson flick Death Wish. The script by Westlake takes the basic slasher movie premise and mixes it with the suspense/thriller and these elements mostly work well; for the most part of the script focuses on the characters rather than the violence and it worked well, but the script can also be a little dialogue heavy and if not for the actors it could have been a bit too slow paced for its own good. 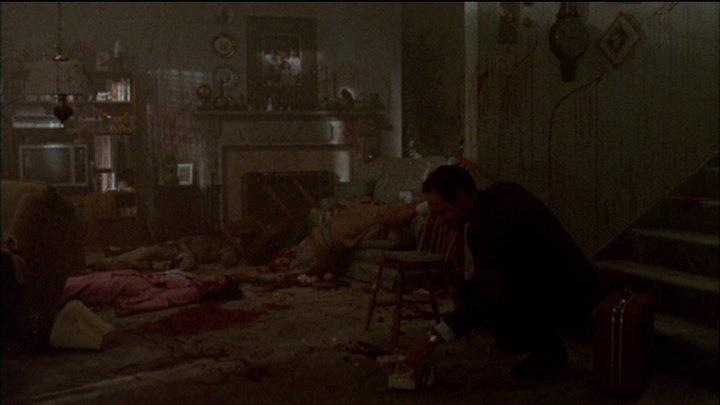 The characters are well written for and have plenty of depth and by no means does The Stepfather feature faceless victims; while the screenplay isn’t perfect, but Westlake creates excellent characters that are strong enough to carry the movie when there isn’t any action. 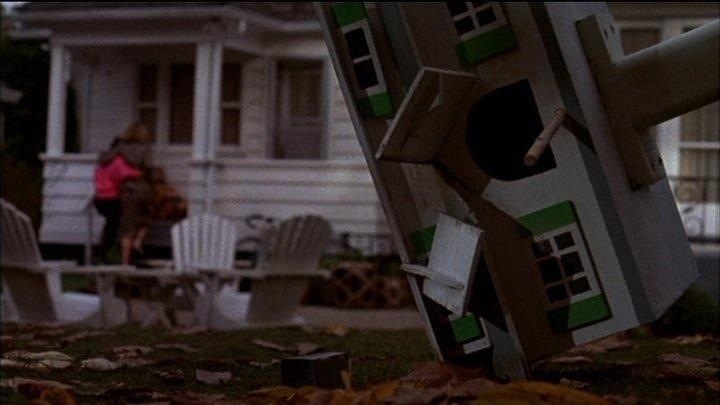 Originally the screenplay featured flashbacks that would show Jerry Blake’s childhood and show how he became such a psychopath, but these scenes ended up being removed from the script and while it would be interesting I do think that was the right idea cutting it. The lack of backstory does add to the mystery and more importantly I think it’s fairly obvious he probably had a rough childhood and therefore it really wasn’t needed, but it would have been interesting, but in the end I think it was the right move that it wasn’t in the movie. Director Joseph Ruben crafts a well-made thriller that while in some areas can be a bit slow, but he’s able to keep things from getting too slow and a lot of that also has to do with the actors more than the direction. From the opening scene Joseph Ruben sets up an eerie and sinister tone, which he is able to keep going through the duration of the movie and even in the lighter scenes there is always a presence of looming danger ahead. The middle sections the pace can slightly lag as the movie does sort of repeat itself in many spots, but Ruben is able to still keep the movie interesting and again the cast does an excellent job and in my opinion that’s what really keeps things from slowing down too much. Joseph Ruben is able to deliver some decent suspense and tension and overall delivers a solid movie; the final act however plays more up to the slasher movie conventions, but it worked well due to the buildup. Essentially, The Stepfather for most of its running time is a build up to the final act and the wait does pay off. Despite the somewhat sluggish pacing at times the direction is good enough to keep the film interesting. When all is said and done with The Stepfather again it truly is the cast that makes the movie what it was. 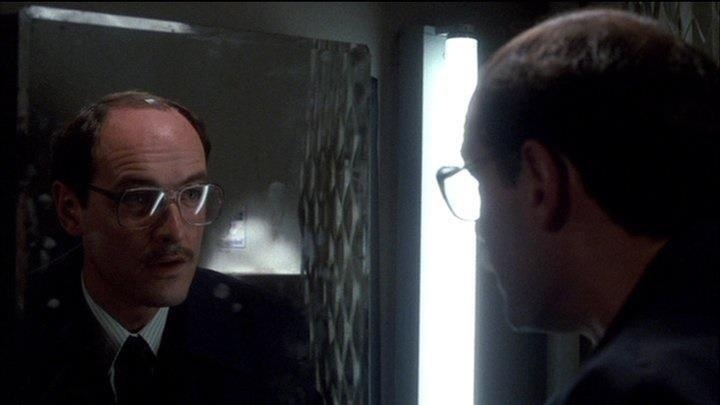 Terry O’Quinn as Jerry Blake delivers one of the most chilling performances ever in a horror or thriller flick. While Terry O’Quinn would after this find success it’s a shame he isn’t a mega-star since he clearly has the acting talents. As solid as the cast was without O’Quinn no way this movie worked as well. The final act when the action kicks in, Jerry Blake has quite a few one liners, which can be a bit silly and sort of stray from what came before, but what makes these lines work so well are the way they are delivered by Terry O’Quinn. Most reviews you read they’ll always praise Terry O’Quinn’s performance and there is very good reason for that. Jill Schoelen as Stephanie is also a standout; I’ve seen quite a few movies she’s been in and good movie or bad movie she always manages to shine and here she might be in the shadow of O’Quinn, but she does provide and equally good performance. Shelly Hack and Stephen Shellen also provide excellent performances. Overall The Stepfather is a solid flick with an ok screenplay and above average directing, but the cast elevates the movie to a much higher level. 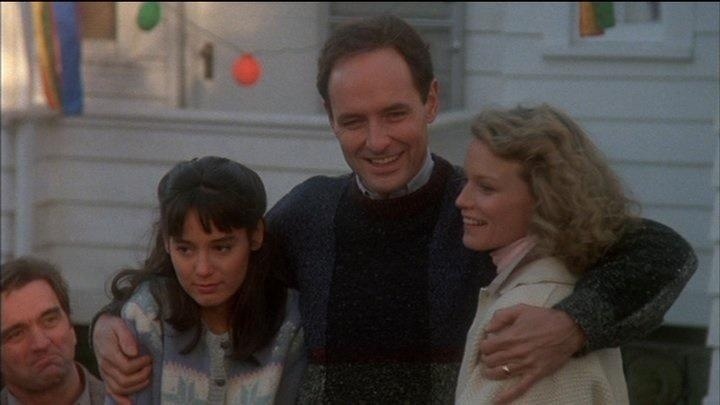 Terry O’Quinn delivers a downright chilling performance and if for no other reason The Stepfather is worth checking out simply for O’Quinn & Jill Schoelen.